Are you interested in providing your clients with complaint-free, hard, non-dusting, long-lasting, wear-resistant concrete floors and pavements with high abrasion, impact, shrinkage and crack resistance? If so, you may like to request the relevant product information bulletin. This outlines the features and benefits of Ability’s Cosmotron® DPU-AC concrete processing aid supplied in powder form. It is worth reading. By carefully reading it, you will benefit by knowing how to increase in-place concrete quality and durability with far less risk of failure, as well as to profit from knowledge, which may allow you to consider wider use of cost-effective durable concrete in and around the structures with which you are associated. We at Ability are in the concrete ‘insurance’ business! Please let us explain... Australian pre-mixed concrete is probably the best in the world! However, many problems are often associated with the fact that this excellent product (from grade 25MPa upwards), is supplied only in its plastic, freshly mixed state before it sets. It is therefore handled and processed by other parties on site (hopefully without adding extra water and with due care according to an effective architectural concrete site processing, finishing and curing specification). Ability’s Cosmotron® DPU-AC powder admixture added at the building site and remixed well into pre-mixed plastic concrete (which has been ordered at a 40mm slump instead of a normal 80mm slump) on arrival from the batching plant will, after increasing flow and consistency without the addition of more water ensure that, it can be easily processed and finished at a normal 80mm. slump in normal ways. As a result, the highest strength, surface hardness, shrinkage and crack resistance as well as weather, chemical, impact and wear resistance ARE achieved for the hardened concrete in place. The main reason for these excellent benefits, easily achieved for hardened in situ concrete in your jobs, is that whereas the concrete site processing and finishing contractor (placer / densifier / finisher / grano worker etc) processes and finishes Cosmotron® DPU-AC treated plastic concrete on site in normal ways, at a normal slump of 80mm, it contains considerably less water. That’s good. Isn’t it? About 90% of all the good benefits mentioned above are achieved with concrete having a relatively low water:cement ratio. Cosmotron® DPU-AC instantly dissolving powder admixture achieves this for you without ‘upsetting’ the contractor. • correct site excavation / preparation, provision for the correct grade of steel reinforcement mesh or fabric and an approved plastic moisture barrier underlayment. 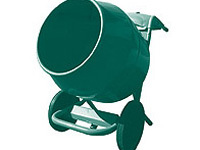 • correct concrete discharge, placement, vibration and compaction - usually by immersion poker vibrators etc. to remove all air voids and thereby densify the concrete finishing to the required type surface of finish, the essential curing process and finally followed by adequate and timely crack control jointing - all according to Australian Standard AS 3600-2007 ‘Concrete Structures’. Also, under these beneficial conditions achieved by specifying the use of Cosmotron® DPU-AC, bleeding of water to the surface of freshly placed and screeded plastic concrete is substantially reduced or eliminated. This means that weak, dusty concrete surfaces consisting of weak laitance (cement scum) cannot form on floors, pavements, wall panels etc and, due to the automatically achievable lower water-cement ratios, the mechanical strengths and abrasion resistance of the hardened concrete material is increased. To obtain these excellent benefits and assurances for you and your client, simply request and read the relevant product information for Ability’s Cosmotron® DPU-AC powder admixture for concrete and mortars and consider specifying it flat in you next construction job. Why not eliminate concrete floor and pavement problems in future? This can be achieved by simply specifying the addition of Cosmotron® DPUAC powder to plastic, pre-mixed concrete, which has been ordered at a 40mm slump (instead of the normal 80mm) and manufactured to Australian Standard AS1379 ‘The Specification and Manufacture of Concrete’ by a member of the Pre-Mixed Concrete Division of the Cement Concrete and Aggregates Association of Australia (CC&AA). PS: Cosmotron® DPU-AC powder is packed in 15kg net multi-wall paper bags. For the highly recommended Grade N32 (32MPa f/c compressive strength at 28 days) pre-mixed concrete containing (say) 300Kg. of fresh Type GP Portland cement per cubic metre (m3), a nominal 1.2kg of Cosmotron® DPU-AC powder is required; ie approximately 7kg per 5m3 load of pre-mixed concrete. This is approximately 0.4% by weight of the cementitious material.